Anastrazole is an aromatase inhibiting drug approved for treatment of breast cancer after surgery, as well as for metastasis in both pre and post-menopausal women. These drugs are used in hospitals and health care institutes helpful in curing the patient after surgery for breast cancer are safe to use. These are available at affordable prices. Earth Pharms Pvt. 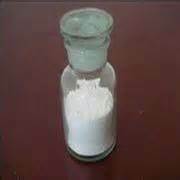 Ltd. is specialised in manufacturing, supplying and exporting a series of steriods raw powders both localy and internationally.The leading products not only include Testosterone, but also much more, such as Stanozolol,Testosterone cypionate,Methandienone,Oxymetholone,Trenbolone enanthate,Trenbolone acetate,Nandrolone Decanoate and so on, etc with the competitive price and good quality, get the favor of customers both locally and internationally.